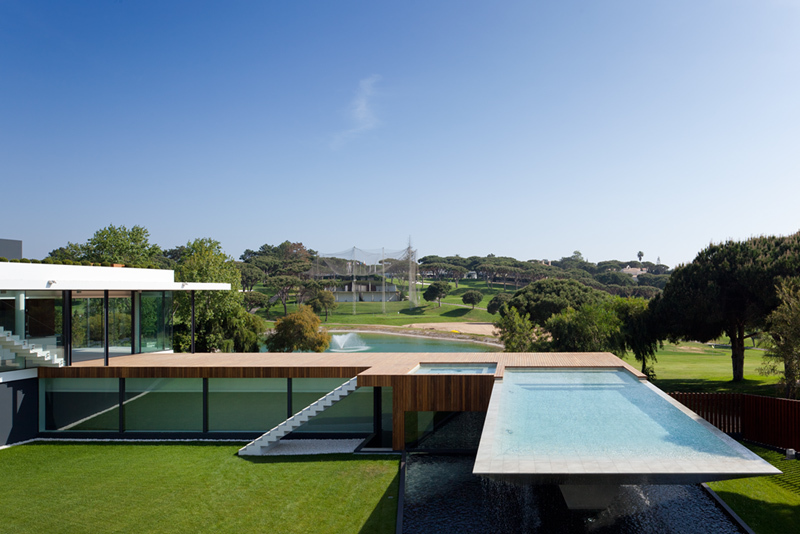 Vale do Lobo is a golf resort located in the Algarve region of Southern Portugal - an elite course where stunning custom homes are popping up like seasonal flowers. 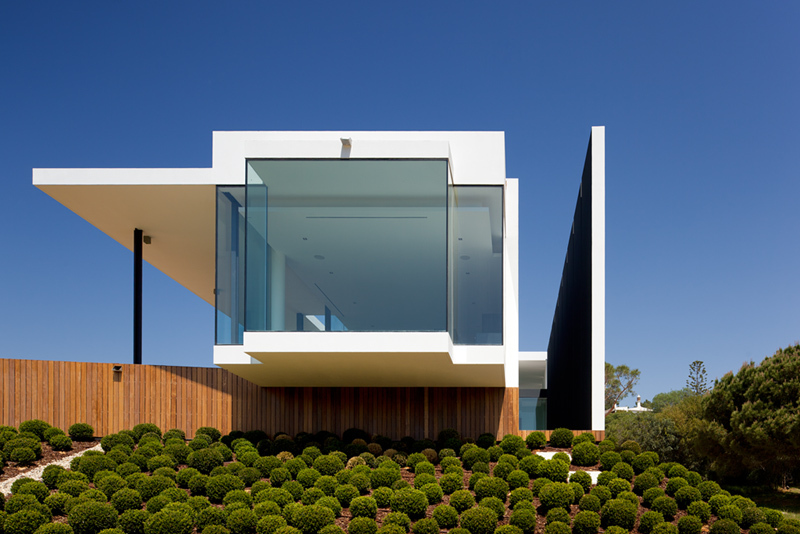 Architect Vasco Vieira, principal of Arqui+ Arquitectura, has just completed Casa Vale do Lobo. 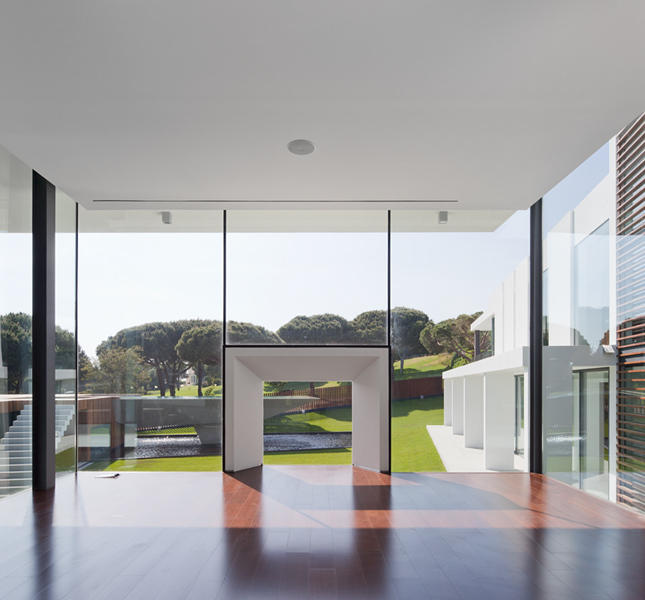 The contemporary home is stark white with a mix of wood and glass. 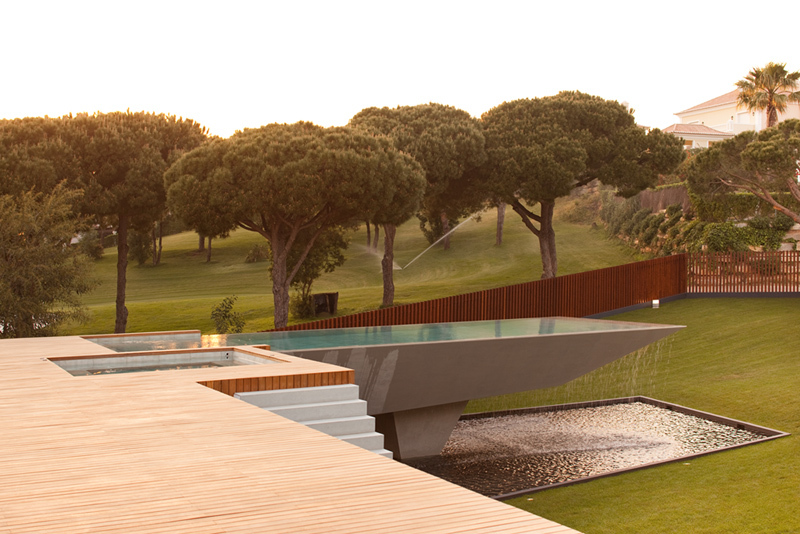 An absolute exquisite piece of architecture, but there is no denying the property's real beauty - the swimming pool. The concrete that holds the water is risen from the ground, and acts as a waterfall to the shallow pond below it. The site of the home is 'U' shaped, one side being the home, on the other a wooded deck to relax on and the infinity pool. Though the golf course property sits on a sea side, this epic pool might be enough to keep it's owners in fresh waters.